Raising a horse now is vastly different from what it was several hundred years ago. Heck, it’s different from what it was just 20 years ago! Scientists, veterinarians, engineers, and horse lovers have all come together in an effort to improve the quality of life, health, and performance of our ponies. In addition, as betting on the Grand National is become more and more popular, people are getting interested about knowing more about this sport and the technology that follows it. Today, I am going to talk to you about some of the most advanced technological revolutions on ranches. In case you were wondering what it is that is so amazing about the technology that’s taking the equine industry by storm, here are a few breakthroughs that are almost sci-fi. I know what you’re thinking. You’re thinking: “What’s 3D printing got to do with horses?” Believe it or not – plenty. 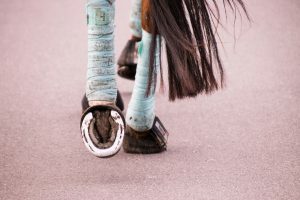 There are several issues horses experience that, up until recently, would guarantee that they are used for breeding or a one-way trip to the glue factory. There are also advancements that ease the horse’s strain during races and shows. There are breeds that are likely to develop certain medical conditions, like the bones growing at a weird angle, or a broken leg. 3D printing is there to create casts that are custom for each horse. They are light, relatively easy to make and they fit like a glove. Also, consider horseshoes. If they were plastic, instead of metal, your four-hoofed friend wouldn’t have such a hard time keeping up with others. During a race, it is nearly impossible to track the horse’s health changes, and the strain it experiences. That is, it was nearly impossible. 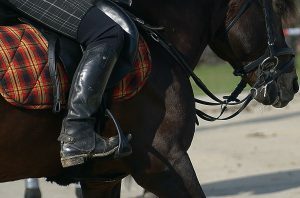 These days, there are saddles that can provide the rider and the team with valuable information. You can see the spikes in your champion’s heart rate, as well as changes in speed, the number of jumps, and the overall stride of the horse. This means that you will be able to see if Lightning (or whatever your horse’s name really is) is handling the course the same way he has done before, or if there’s something wrong with his health and performance. Yes, even the artificial intelligence has found its way into the world of horse racing. You can use the machine to calculate the conditions of the track, the weather, and the horse, and it will give you advice concerning the best course of action during each stage of the race or other events. Before the introduction of AI, it was common for experienced trainers to dish out all they know regarding what a rider should do on the track. This way, even if you don’t know a lot about horses and tracks, you can still get a clear picture of what needs to be done. If your friend or family member is in trouble of any kind, they can call you on your phone and ask for help. What if I told you that horses can now do the same thing? Imagine chips that monitor your horse 24 hours a day, seven days a week. If there is something on the ranch that makes the horse feel uneasy, like a break-in, an accident or a wild animal, the chip sends a distress signal to your phone. If you want to monitor your herd even when you’re out or doing chores, maybe you should consider getting a drone. They have been lauded as perfect monitoring devices for those that can’t be everywhere at once, but still need to check everything, everywhere in real time. 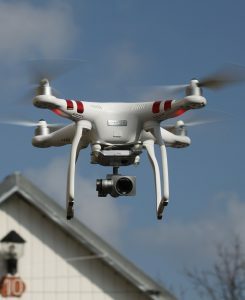 If you’re a horse enthusiast, you will be happy to know that the government is considering using the drones to monitor the population of wild horses without scaring them. That’s a lot of valuable information with minimal human interference.